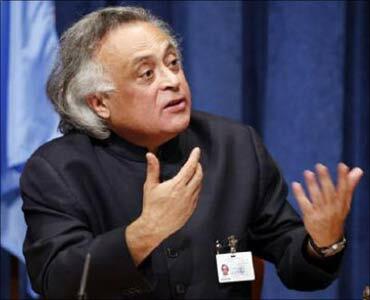 Union Environment Minister Jairam Ramesh has asked Indians not to blindly follow the American lifestyle which according to him is a 'recipe for disaster'. Claiming that the lifestyle in the United States has become the 'most unsustainable in the world today', Ramesh told The Guardian: "It is a paradigm fraught with grave risks. I shudder to think what will happen if we (in India) follow the suburban model of urbanisation." He said, "You can't blame the Americans. The US lifestyle has become the world life-style. (But) if we are going to replicate this model, it is a recipe for disaster for India as well as for the rest of the world. We should be showing the way . 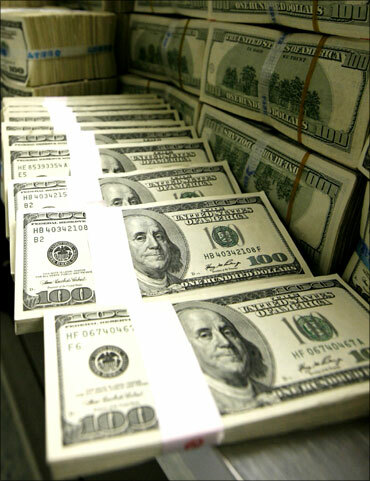 . . not just saying we are going to pay this price." Ramesh, who will travel this weekend to Cancun in Mexico for the next round of global climate negotiations, said that the world was paying the price for 'the US model of development which India and China have embraced'. He also spoke of his recent decision to cancel a hydroelectric project in the Himalayas to generate power for Delhi, which suffers chronic blackouts, asking: "Why should you cut forests in (the Himalayas) to feed the water demand of those farmhouses outside Delhi?" a reference to the sprawling farmhouses, popular with the wealthy. Ramesh said that his 'whole endeavour' was to make environmentalism mainstream by linking it with public health. 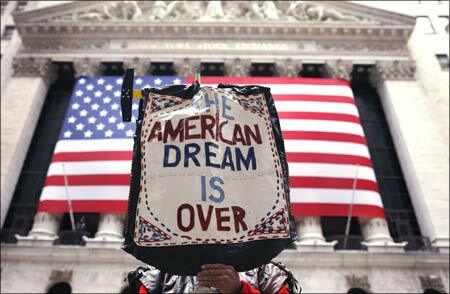 Image: 'The American deam is over' says a sign. He said: "I believe that a larger number of Indians are actually concerned about the environment than we give credit for." Many millions were worried about health problems caused by pollution or land degradation, he said. 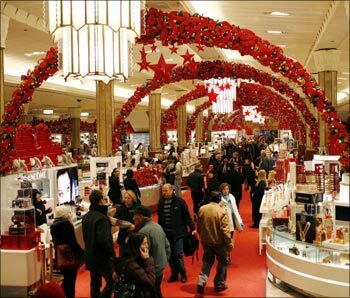 Image: American consumers at a mall.